Erika and Clementine are friends with a dysfunctional relationship. Erika invites Clementine and her family over for a serious discussion, but before the event occurs, Erika is convinced by her neighbour to come to a barbeque at their place instead, Clementine and her family invited too, of course. Something happens at the barbeque which will change each of their relationships. truly madly guilty is written in two different timelines which are intertwined: some time after the day of the barbeque where we see the aftermath of what occurred, and the day of the barbecue itself. Finding out what actually happened unravels quite slowly. A lot of the story focuses on the relationship between Erika and Clementine, and each woman and their partners/extended family, along with the family from the barbeque through Tiffany and her husband Vid. The characterisation as always is well written, however, I didn’t quite connect with the main characters here as I have with those in previous novels written by Liane Moriarty. The majority aren’t particularly likeable, although I will exclude Oliver when I say this because of all the characters I found him to be okay. He also received probably the least amount of “air-time” (for lack of being able to pull a better phrase from my brain at the time of writing this post). The incident(s) which happened the day of the barbeque is believable and the aftermath of it interesting. I kept wondering where the story would go once the event(s) were revealed, but to be honest I felt a little let down. The ending wraps everything up, but it just didn’t seem to have much of an impact. I’d already figured out early on the twist. 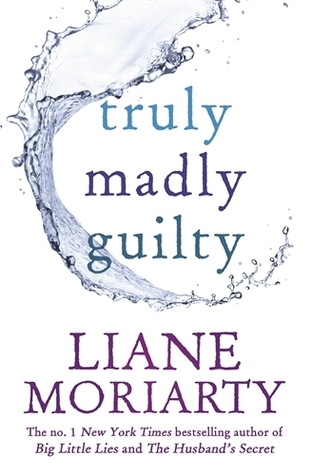 Having said that, if you like Liane Moriarty, or haven’t yet read one of her books, I’d still recommend it.